Shopping just became fun and easy for your customers! We’re excited to introduce our latest product releases of our Connected Commerce platform. Make shopping fun and easy for your customers and help you to grow your business – that’s what we’re about. Our engineering teams continuously work to come up with new and better ways to let you engage today’s convenience-seeking omnichannel shoppers while adding value to your traditional brick-and-mortar customers. Your shoppers are now able to locate any product in your store using Indoor Maps. Our Indoor maps component comes as part of our Commerce solution and lets your customers find products in your physical stores with the help of a digital store layout map. 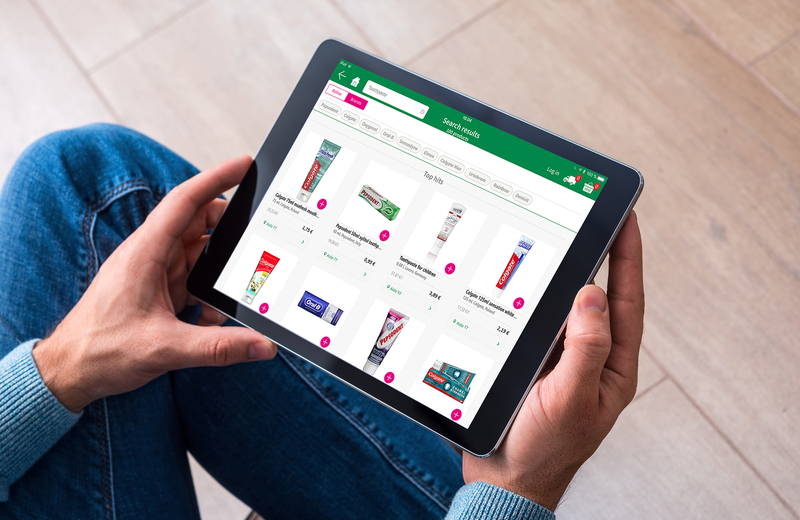 One of the key aspects of our platform has always been efficient shopping planning and connecting the physical store to your online service. 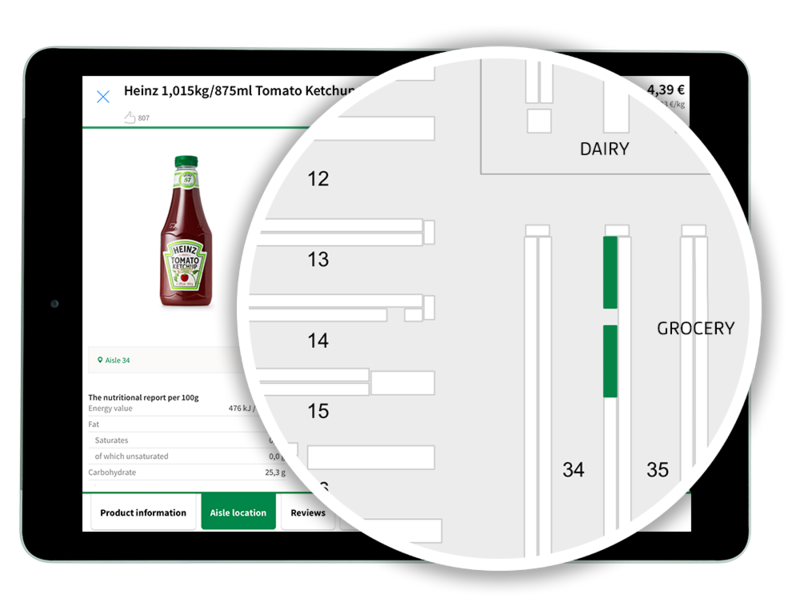 In the latest release of our mobile clients (iOS and Android) we are proud to release a functionality for locating products in in-store environment using indoor maps. We have rolled out this feature together with our close partner S Group. S Group is running the indoor maps functionality in nearly 1000 stores. The functionality allows shoppers to find the location of any given product, displayed on a map. This is especially helpful in very large supermarkets where it may be time consuming to find the location of products bought less often. While helping shoppers the feature also decreases the amount of work for the store and offers them a great opportunity to promote their mobile service in the brick-and-mortar environment. 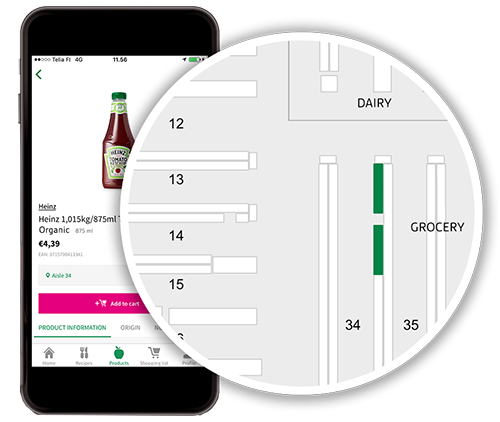 To add the Indoor maps functionality to your stores, you will need a store layout plan, as well as product data containing the shelf number or name of the product compartment. Your customers search for and browse through your full assortment on web and mobile! Our Search component comes as part of our Commerce solution and lets your customers search for and browse through your full assortment on web and mobile. One of the key improvements in our Search 2.0 is speed. In Search 2.0 we have moved our search functionality to run on top of Amazon’s Elastic search, which has provided an average improvement of 4x in speed. 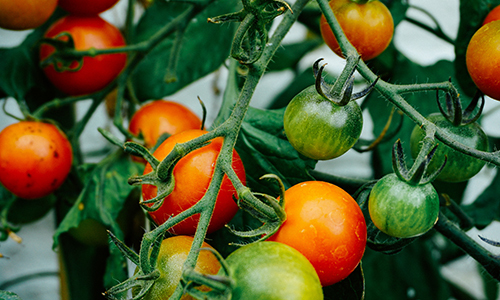 Our new search is able to leverage product information more efficiently, taking into account all product attributes such as product ingredients. For the shoppers this means improved ease of use and more search matches. Another key improvement is more flexibility in configuration of the search engine. Configuration now includes sponsored search results, searchindizing, as well as the ability to create custom search models. Also the auto-completion using for instance brand or category information has been improved. To stay up-to-date with all of our news and announcements, please visit digitalgoodie.com and be sure to subscribe to our blog!